Cheats, tutorials, reviews, tips and the latest news about games and the world of Mobile ( Android, IOS ) applications and PC. Articles are often embedded with videos to help them understand and increase their interest. A few months later, let’s talk about Eternium with this new article on the Eternium update 1.2.65 beta. Perhaps not everyone knows that you can play recent game versions that are not in the Google Play Store. At the time of writing the article, the current version of the game on the Play store is 1.2.49, and the latest beta version is 1.2.65. From the official version to the latest beta, the novelties introduced are so many and in a way have revolutionized the way to approach the game. We will see in this article how to use Eternium in the beta version of your device and what are the novelties introduced in these latest versions of the game. As mentioned, before enjoy the new features introduced in Eternium, you need to update your version of the game to the last beta. After the download, “tap” on the file you just downloaded. If you have previously installed the game, you will be prompted to upgrade. Otherwise it will be launched full installation of Eternium. You may be asked to allow the installation from unknown sources. Enable the option and proceed. After a few seconds / minute, the upgrade or installation operation will be completed and you can play. If you encounter problems, report it in comments. Let’s see what are the new features until version 1.2.65 of Eternium beta. Adding awards and leaderboards to the Trials Challenge. If you are interested in going into the details of each of these changes, please visit the official forum of the game that I mentioned in the previous paragraph. However, among the above changes, some are very relevant and need more details, because it certainly will change the way you play. 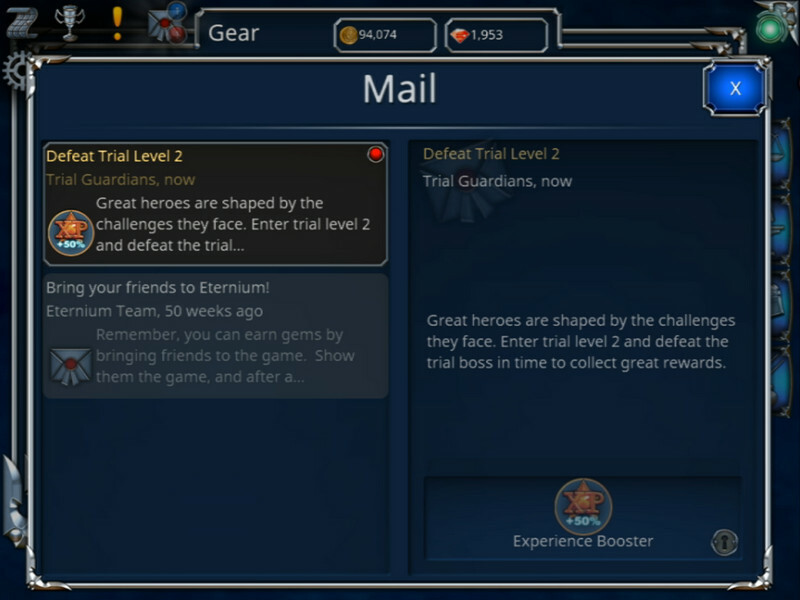 In this Eternium update, the challenges of trials, as well as having a clear redesign of the past, provide a real challenge for players who like to test. In particular, the monsters you meet in the trials, as you go over the various levels, they will become stronger and more resistant, but not enough; thanks to the redesign of the boss abilities, trials need to be dealt with more tactics than in the past. From the release notes, trials ranging from level one to seven represent the normal monsters ranging from level 10 to 70. In the higher-level trials, at every level, it corresponds to an increase of the damage inflicted by monsters equal to 3.5% and an increase in life points of ‘8%. Additionally, monsters will no longer leave any object during trial, you can receive three, only after defeating the boss. Having said so, the changes that have been made in the trials seem all bad news, actually these will also be added some positive. 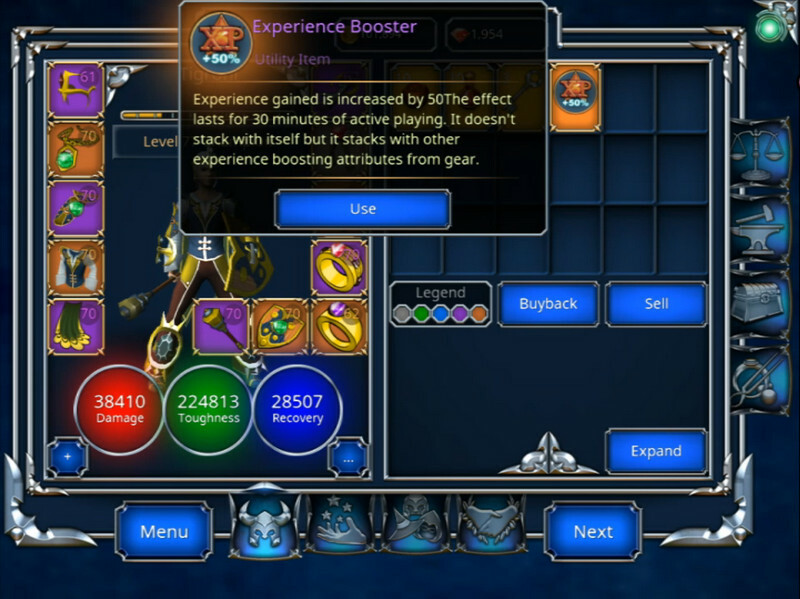 The experience gained from level 8 of the trial is 5% more than the previous level. This means that at level 100 of the trial, you will get the experience that can be earned by killing a level 70 monster multiplied by a factor of 93. Not only that, now the quality of the items and their rarity is proportional to the difficulty of the trial. As said the boss leaves three objects to his death. One of these has a higher percentage of better quality. Starting at level 42, all objects will be at least epic quality. Instead starting at level 80, they will all be legendary. So the more you succeed in the challenge of trial, the greater your growth and the ability to get better equipment. Who has played in the past to Eternium certainly remember the difficulties facing some bosses such as Elban. Often, it was only when he was well equipped that he was able to get out of the clash. Now the confrontation with the bosses is a real encounter of skill and tactics. So if you want to reach the highest peaks of the trials challenges, you will have to upgrade your equipment and learn how to tackle the various bosses you will encounter. To let you know what I’m talking about, let’s see in detail the changes made to the bosses. MAGROTH: His physical attacks do much less damage than in the past, however, has increased its speed. His charge can now can block you for four seconds, the meteor strike, if it hits you, cause a damage equal to 1500% of a normal attack. At last he has been equipped with the “anger” ability, which triples the damage done and doubles its speed. My advice on how to deal with it is to avoid its charge, not so much for the blocking of the four seconds, rather for the blows that will follow. The meteor strike hits you with a lot of damage, so try to avoid it if you can not handle it. Finally, avoid getting hits if him enter into rage mode, shoot around until you return to normal. BROKEN DRAGON: Also the dragon skeleton was reduced in physical attacks and increased his speed. 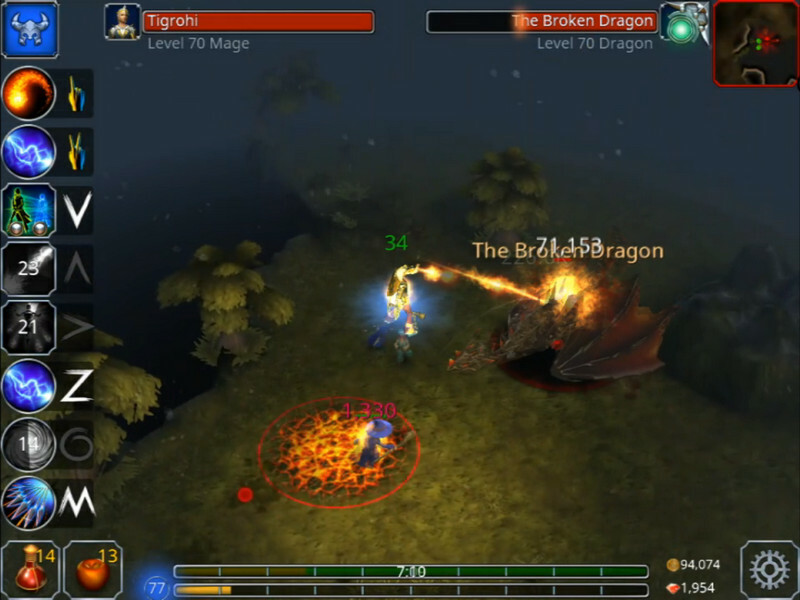 He will no longer follow your movements while loading the dragon’s breath, so it will be easier to avoid it. It will emit fireballs around him causing damage equal to almost three times the normal attack. At last, he will be able to transform the soil into a lava for a few seconds, if you get hits, you will receive a damage of seven seconds equal to 10% of the normal attack. For me this boss is the easiest to deal with. It is enough to avoid its dragon’s breath and not to stay on the lava ponds it will create. In particular, if by mistake, you pass several times on the lava, damage will be summed up to ten times, best to avoid, believe me. The hardest part is to avoid fireballs as they radiate very close together, if you find yourself near the dragon, you will almost certainly get a nice ball of fire on the forehead. 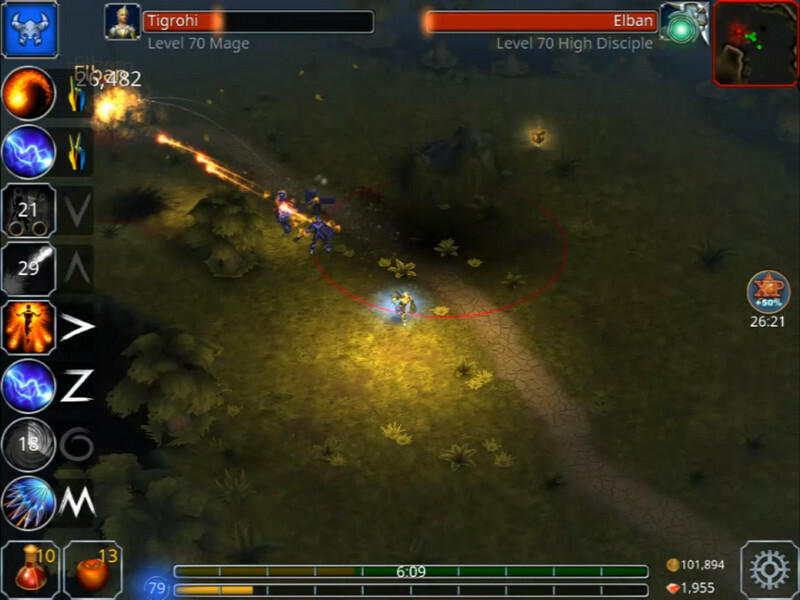 ELBAN; As for the other two, the attack decreased and increased speed. His “Blood leech” skill has become incremental, the more time you are near, the greater the effect of skill. During the first and half second, the ability will not cure him, for our mental health, as it is also quite difficult to kill. Be careful, ability also has the ability to slow down. His ability to jump up to fall on you, called “Devastating Assault”, has been greatly enhanced. Elban will jump high and if you do not move, you will receive the beauty of 10000% of the normal damage, almost deadly practice. Fortunately, this danger is highlighted with a nice red circle that tells you what’s going to happen, so you have a few moments to remedy it. My tactic (which you can also see in the gameplay video at the beginning of the article), is to avoid like the plague is the “Blood Leech” that “Devastating Assault”. In particular, the first ability, you can avoid it further away quickly from its range, so as to remove its effect. The enemy will not cure and you will come out of trouble. If you are wizard it is very useful blink, which will allow you to get away quickly. In the case of the “Devastating Assault”, just move out of the highlighted circle to avoid the deadly blow. I have not found any particular difficulty until now, to avoid it. Experience in earning champion points (the points you earn over level 70 and that you can spend in different stats upgrades) has increased a lot. In particular, compared to the past, for those with less than 1800 champion levels, the amount of experience has been reduced, while others have the necessary experience increased. To give you an example, my wizard, who is not a real veteran, is able to earn at each trial two champion levels. Considering the beneficial effects of these points, you will always want to play to gain more points and become stronger. Basically the developers are looking to level new players to the elderly in order to offer more exciting challenges in the leaderboard. It is natural that there are elders in the game who have very powerful characters. With this change, who has the patience to play with constancy, he can get closer to bigger levels, something that was unthinkable before. I have to say that this series of updates impressed me. It was a while that I did not play Eternium because after i complete the game with the different characters and have reached a good level, i had lost the desire to play because no real challenges. But now i’m back to playing and every time i complete a trial, i want to face another, to earn new champion points and hoping to get more and more powerful equipments. So, for those who like me, had set aside the game, try to Eternium update as seen in the article. 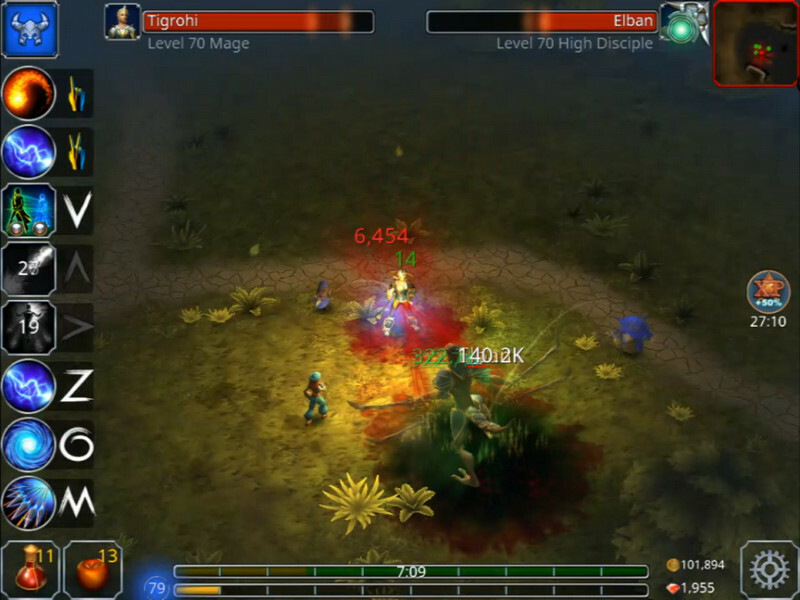 and try the game, RPG of caliber of Eternium, ther are really few on mobile devices. Tell me yours in the comments. And remember to share the article with your friends if you found it interesting. Instead, to stay up to date, subscribe to my pages and my YouTube channel. It costs you nothing, but for me it’s an incentive to keep the blog alive.